This blog post is all about second chances. 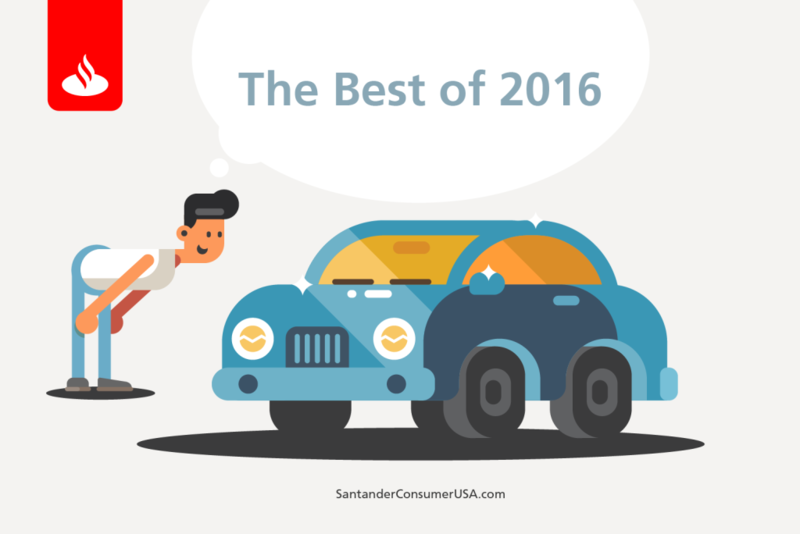 It’s your chance to catch up on the most-popular posts of 2016 from Santander Consumer USA. We could have done a top-10 list, but what’s the fun in that. So we went for 13, clearly a lucky number because it gives you that second chance. Most readers (based on page views) are interested in information on used cars, with three of our top 13 fitting that description specifically. Many more are interested in information about trucks and SUVs, including used vehicles. Trucks, SUVs ‘go the distance,’ rule list of top 10 longest-lasting vehicles (No. 3), which, if combined with a post that didn’t quite make our top 13, Buy a pickup, SUV for the long haul – 200,000 miles or more, would climb to second place. Other readers apparently want to be cool, fresh, and savvy in their vehicle choices. And then there are car shoppers who have concerns related to financing their next vehicle. Six steps to buying your next car with a tax refund (No. 8), which we updated this week for the coming tax-refund season. Or those who are on the lookout for a good value or best buys. For those keeping track, we’re giving you one more chance – the inside story on, well, car interiors, with Inside outstanding: WardsAuto’s 10 best vehicle interiors of 2016 (No. 4). Now that you’re all caught up, you’re more prepared than ever to go car shopping in 2017. This just may be your lucky year.